With a warm, humid climate that stimulates a fast ageing process, Demerara County in Guyana is globally renowned for its rich history of rum production. Beginning during the 1640s, with the introduction of sugar cane by the early European settlers, the foundation of Demerara rum production was laid a decade later, with distilling introduced into the territories by the British. While the area was once rife with distilleries, producing their own signature rums, Demerara Distillers Limited is the final remaining example, operating on the east bank of the Demerara River. The entry level of El Dorado’s Luxury Cask Age series, El Dorado 12-Year-Old features a blend of rums from three different stills, each aged for at least 12 years. As well as using liquid produced by the Enmore Coffey still, the blend also comprises spirit from the original metal Diamond Coffey still and the Port Mourant double wooden pot still, once used to produce ‘navy’ rum for the English Admiralty. All of the rum produced by El Dorado is aged in American Oak barrels, generally used to age bourbon. Once aged, the spirit is ensnared in a stumpy bottle decorated with a design honouring the flasks cast aside by Dutch sailors, and sealed with a quality cork topper. 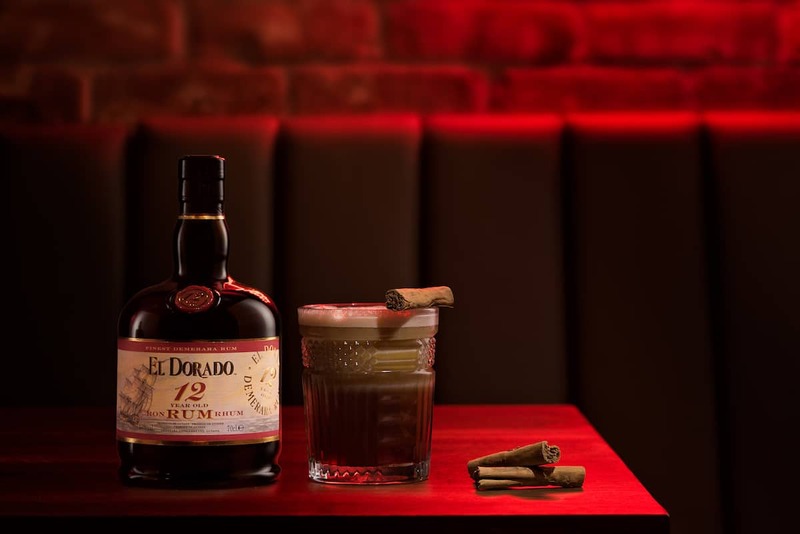 In the glass El Dorado 12-Year-Old is rich amber and has initial sweet aromas of molasses, caramel and a whisper of coconut, joined by natural vanillin from the oak and spices such as cinnamon, nutmeg and clove which join a wave of citrus freshness. Notes of rich tobacco and orange flesh eventually prevail. Each of these notes make their way on to the palate, eventually joined by some date, raisin and apricot savours which accentuate to the unfaltering sweetness (not unlike that of Ron Zacapa 23), with a slight underlying nuttiness and a suggestion of chocolate that lingers on the medium finish with a touch of menthol and an exceptional smoothness. A remarkable example of a Demerara rum – sweet, yet not overwhelmingly so – and an accessible introduction to sipping rums, ideally savoured neat with ice, or as the base of a classic Mai Tai or rum Old Fashioned. Further information on El Dorado can be found here. El Dorado 12-Year-Old is available from The Whisky Exchange, RRP £39.45, 70cl.